Clean water continues to be a major issue in Nigeria. The lack of clean drinking water has been linked to a number of diseases that plague families in the rural communities. In addition, many villagers have to walk miles to retrieve this bacteria-filled laden water. 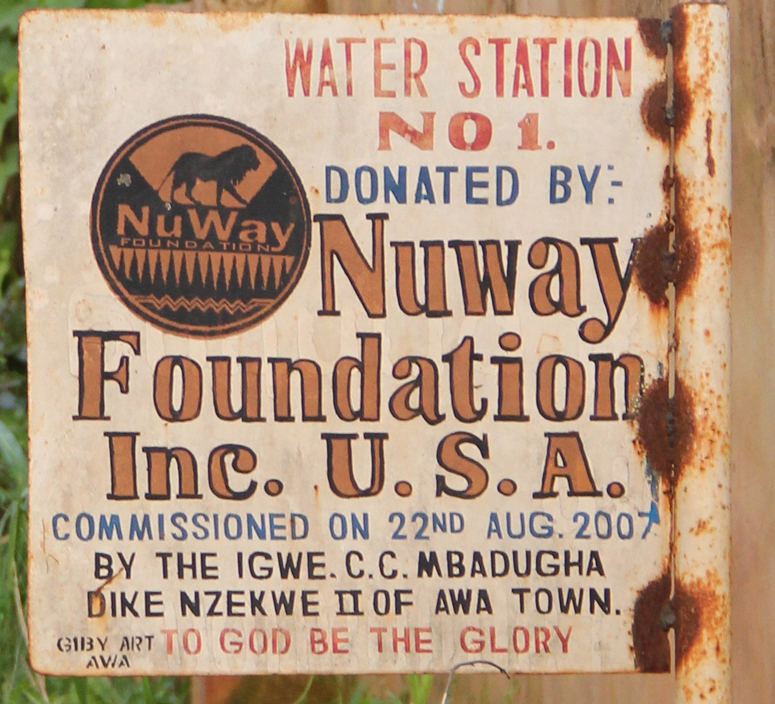 The NUWAY Foundation has been working to fight disease by providing clean drinking water for the community through the drilling of clean water wells. To date, NUWAY has funded a total of 14 wells providing Awa and surrounding villages with pure water and within an easy walking distance. NUWAY hopes to expand the water initiative to other villages and is establishing a process to maintain the current wells in Awa.